Growing up fast of baby is familys fun but it might cause difficulty in choosing the diaper that fit and comfortable for the baby. 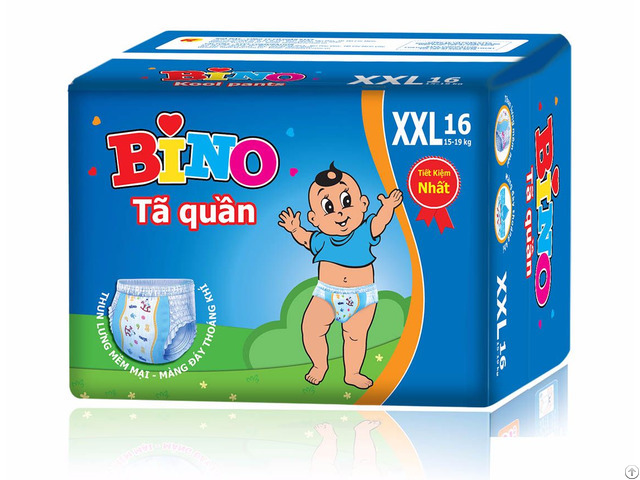 BINO Kool Pants is a special products for your over sized baby, who is more than 18kg weight, with comfortable pull-up design and high quality.  Tummy Elastic: Soft and comfortable in every movement.  Leak guard: High technology to prevent the leakage out. 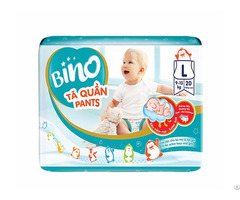  Slim bottom shape: to fit perfectly with both baby boy & girls thigh. 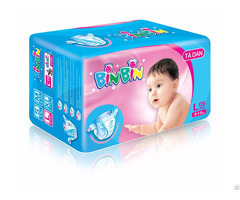 dryness for longer usage and extra protection against leakage.